When I say a candy bar, i don’t specifically mean to go to your local gas station in Kamloops and grab a chocolate bar. 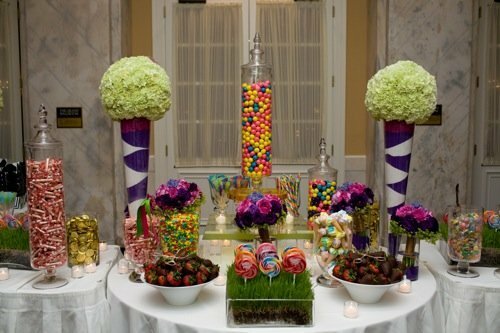 I mean try having a literal candy bar at your event. Have a designated area that has a buffet style candy bar. Almost everyone has a sweet tooth, and they often find them selves indulging in it with a guilty conscience. At an event or wedding though, it gives them an excuse to cheat on their diets and have a celebratory snack. In terms of budget, a candy bar can often be cheaper then party favours or appetizers. You can find bulk products that can save you a small fortune. 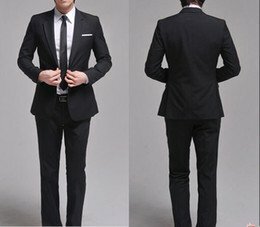 Plus its a great way to have guests remember your wedding, cause all though its becoming more common, it is still untraditional and quite unique. When buying product your best off eyeballing it. Its really hard to crunch numbers as to how much you’ll need mathematically. The best way to go is look at your guest list, take note of the number of children and made a judgemental guess on how much you will need. To get a real positive reaction to it as well, try buying a higher variety of candy in smaller amounts. To make it look more substantial and colourful. Set it up on a table in containers of your choosing. Try to stick to clear plastic or glass if possible, that way you can really bring out the colour and excitement of it all. If you’re sticking to a traditional wedding then this idea is typically not for you. Thats not to say its something you cant try. Getting your guests all hopped up on sugar should make for a fun and lively bunch. Its a fun and delicious way to bring a new and unique aspect to your wedding.